This past week, news broke that The Walt Disney Company intended to immediately close down down DisneyToon Studios. According to IndieWire, the move will lead to the layoffs of 75 animators and staff. It's yet uncertain whether the company will hire them back through Walt Disney Animation or Pixar Animation. With the studio folding, why don't we take a look back at its eclectic history? DisneyToon Studios was founded in 1990 as Disney MovieToons, a division of Walt Disney Television Animation. It would enable the company as a whole to diversify its output more. The first production came out later that year as a collaboration with Disney Animation France: DuckTales the Movie: Treasure of the Lost Lamp. Over the years the studio worked on other projects such as A Goofy Movie (1995), the holiday anthology Mickey's Once Upon a Christmas (1999), and The Tigger Movie (2000). By working on projects separate from Walt Disney Animation Studios, Disney MovieToons provided an additional source of income for The Walt Disney Company (gosh that's a lot of Disney). They also produced movies that have become beloved, such as Goofy Movie which has seen a resurgence in nostalgic popularity. Another key aspect of the studio's filmography was the Disney sequel phase. In 1994 they released The Return of Jafar direct-to-video, a sequel to the 1992 Disney Animation film Aladdin. They went on to produce the sequels of Beauty and the Beast, The Lion King, Lady and the Tramp, Cinderella, and more. It was during this rush that the company reorganized. 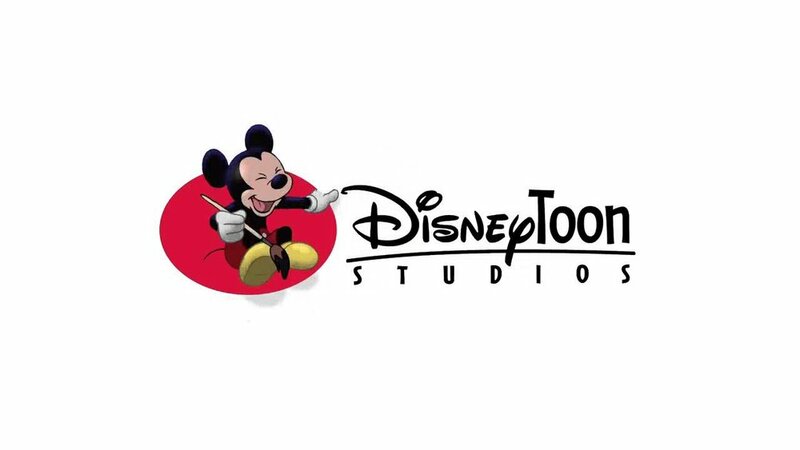 Disney MovieToons was transitioned from television to feature animation, and renamed DisneyToon Studios in 2003. Now the sequels primarily faced a direct-to-video release, and as a result didn't have high budgets. They must have made money though, because a lot were produced. In the first half of the aughts, the studio released an average of four movies a year. In fact, in 2005, they released a whopping FIVE MOVIES within the calendar year. Things began to change though after Disney purchases Pixar Animation. Leadership was shuffled around, and several pending sequel projects were canceled at DisneyToons. Instead, the studio entered a new phase: the Disney Fairies franchise. In 2008, the studio released Tinker Bell straight to video. Overall they've released six movies in the franchise, the last coming out in 2015, which was also their last release. They briefly returned to sequels with 2013's Planes, based off of Pixar's Cars franchise, and 2014's Planes: Fire and Rescue. The studio has had a long filmography, and while they've only been around less than three decades, they've certainly proved industrious in that time. So why did it shut down? Disney's been shuffling their studios around a bit following the departure of John Lasseter from the company, with new leadership taking over at Pixar and Walt Disney Animation. When it came to look at DisneyToons though, it has faced a tough market recently. It's well-known for its straight-to-video productions. Video, however, has been facing a tough time lately. Digital streaming is more pervasive than ever. What's telling is that their last five movies have all been theatrical releases, even if only limited releases. Their last direct-to-video release was in 2010. Their primary market has vanished, and in a theatrical landscape dominated by "event" movies, there is only a small niche market for Tinker Bell: The Pirate Fairy. It's death by economics. There's a lot of talent there though, and it's worth seeing where they will end up and what they're going to do next. Eric Miller Animation Studios is dedicated to crafting heartfelt stories and compelling visuals through 3D computer graphics, offering design and VFX for advertising, gaming, TV & film production. We work with the best animation talent in the industry to deliver visually stunning imagery. Big or small, we can bring any character or story to life. We recently had the pleasure of interviewing Patty Peraza, the first female Effects Animator at Disney Feature Animation Studio. She is known for her work on Fox and the Hound, Tron, Epcot, Mickey's Christmas Carol, Meet the World for Tokyo Disneyland, Beauty and the Beast, Fantasia 2000, and many more. She also did work for Warner Bros. Hyperion, as well as commercials. "My dad would rarely go out to the movies, but he always took the family to see the Disney movies. The one that had the biggest impact on me was one we had arrived to a little late so the only seats left were in the very front row. It was Bambi, such a gorgeous film! Sitting there as a young child looking at the beautiful artwork just a few feet in front of me was probably what inspired me the most." Patty used to draw all the time when she was young, and knew that she wanted to be an artist since elementary school. Though her parents did not want her to move away from Maryland, she always had their full support. She had received a full scholarship from the Disney family for the Disney Animation Program at CalArts in the 1970's. The program was intense, so Patty had to stay very focused to keep her scholarship. Her hard work did not go unnoticed by the head of the program, Jack Hannah. He even encourage her to take breaks from time to time and suggested she go out with Mike Peraza, one of the teachers assistant in the program, who eventually became her husband! Patty was the first female to be hired directly out of the CalArts Disney Animation Program to work at the Walt Disney Studios. She was also the first female to be hired into the Effects department, and when she was promoted to Effects Animator she was the only female animator in both the effects and character animation departments. "Almost every women would go into the Ink & Paint Department. It was just the way it was set up because the studio was founded back in the 1920's, and so that the guys were doing the animation artwork and the women were painting. It really was a mastery to ink those cells and get the lines exactly, I'm amazed at what they could do. I loved the plausible impossible, and you can do anything with animation, so that was more fun for me"
Patty's husband Mike had also been hired at Walt Disney Studios out of the program at CalArts as an Art Director, he worked on concept art, visual development, and the style of the film. He is best known for the Little Mermaid, but also designed and developed Gummi Bears, DuckTales, Goof Troop, Talespin and Darkwing Duck in addition to being an imagineer for the new Fantasyland Land and Shanghai Resort. After Patty's daughters, Kim and Kristin, were born it was important for her to spend time at home. Luckily enough freelancing from home was an option with Disney TV and Direct to Video, which gave her the chance to be with her kids and still do what she loved doing. She was at Disney Studios from 1979-1987 and then returned to Disney features when Don Hahn asked her to be the project lead for Beauty and the Beast. "Right now I'm a master artist for the Arts of the Parks, so I do artwork for the galleries at the parks. When they asked me to do it, I went down and looked at the Disney galleries with all these beautiful paintings, I thought 'how am I going to stand out?'. I thought 'Well, I was an effects animator so I'll incorporate effects'. They wouldn't let me have real fire on my paintings, and I thought nobody is going to buy the splash at Disney Parks, they all want the characters! So I decided for my "effect" it would be the medium itself. They had paper sculptures, but they didn't have anything in cloth, so I decided I would make something out of cloth!" 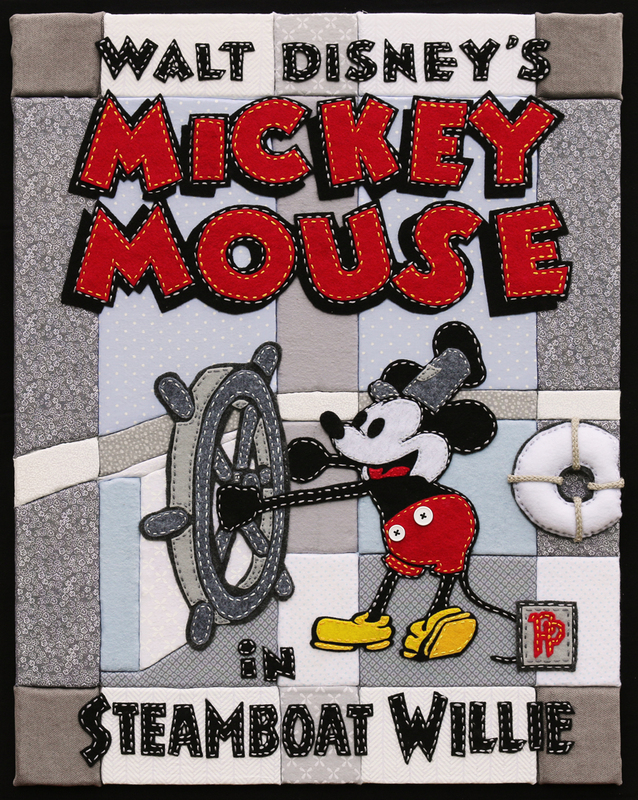 You can find Patty's beautifully designed cloth art pieces at most Disney stores all over the world. 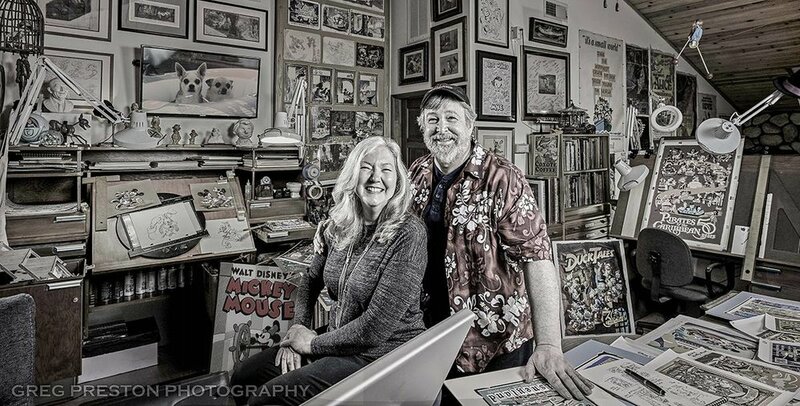 Patty and her husband Mike, who also sels prints, will be doing a signing at the opening weekend of the Food and Wine Festival at Disney California Adventure on March 3 & 4, 2018!